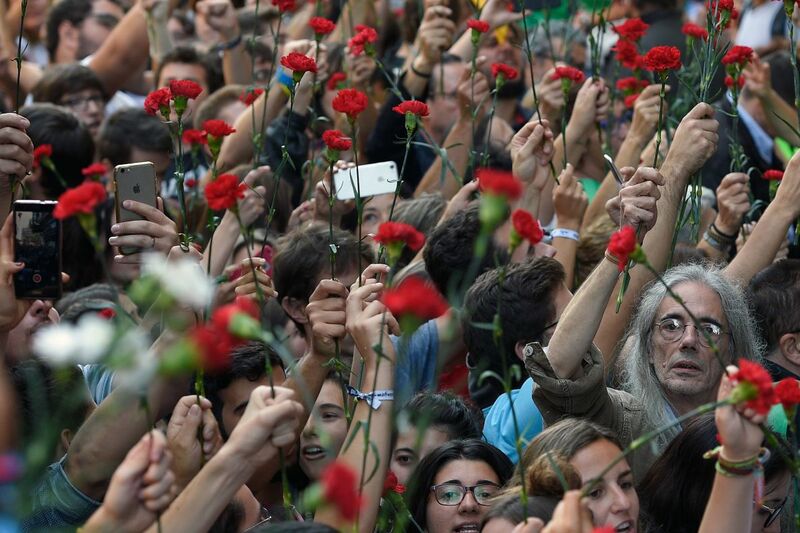 People hold flowers during a protest near the Economy headquarters of Catalonia&apos;s regional government in Barcelona on September 20th, 2017. 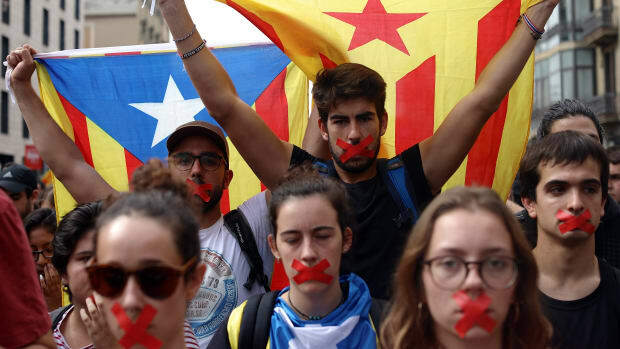 Thousands took to the streets of Barcelona after Spanish police detained 13 Catalan government officials in a crackdown ahead of an independence referendum, which Madrid says is illegal. 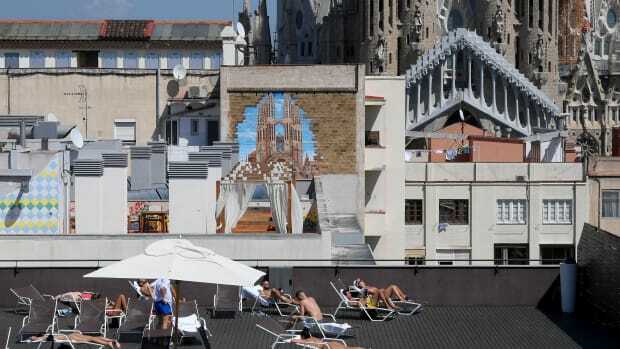 Tourists sunbathe on the terrace of an hotel with the Sagrada Familia in the background in Barcelona, Spain, on September 5th, 2017. The Myanmar Police Force stand guard by a slum near the outskirts of Yangon on June 12th, 2017. 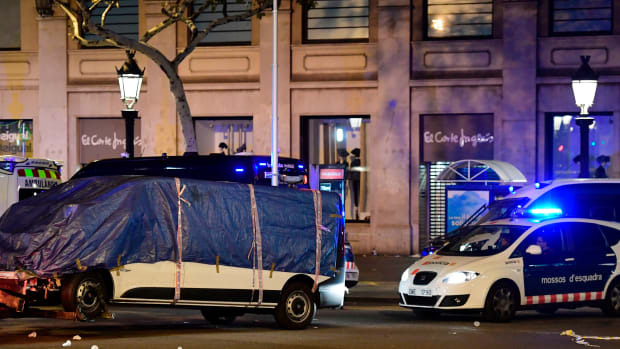 The van that ploughed into a crowd, killing at least 13 people and injuring around 100 others is towed away from the Rambla in Barcelona on August 18th, 2017. 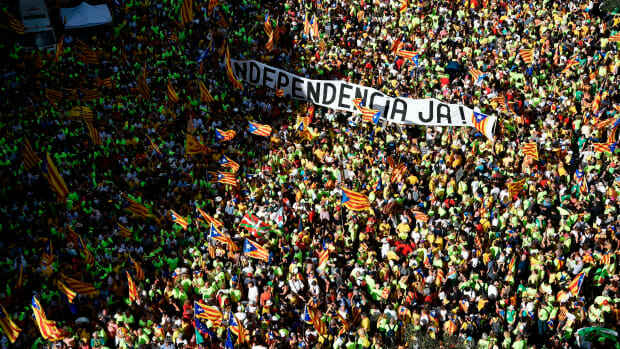 People hold a banner reading "Independence now!" in Catalan as they gather during a pro-independence demonstration, on September 11th, 2017, in Barcelona during the National Day of Catalonia. 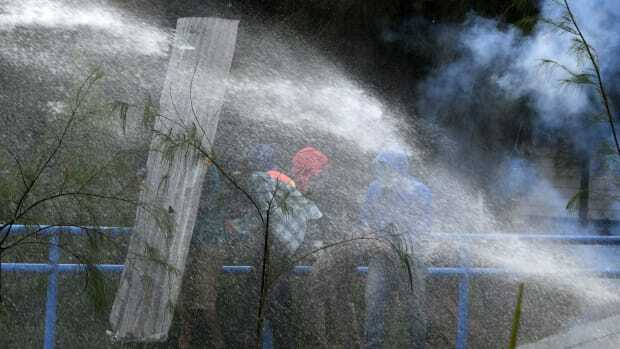 Students of the National Autonomous University of Honduras clash with riot police during a demonstration on July 25th, 2017. Students hold a silent protest against the violence that marred yesterday's referendum vote on October 2nd, 2017, in Barcelona, Spain.